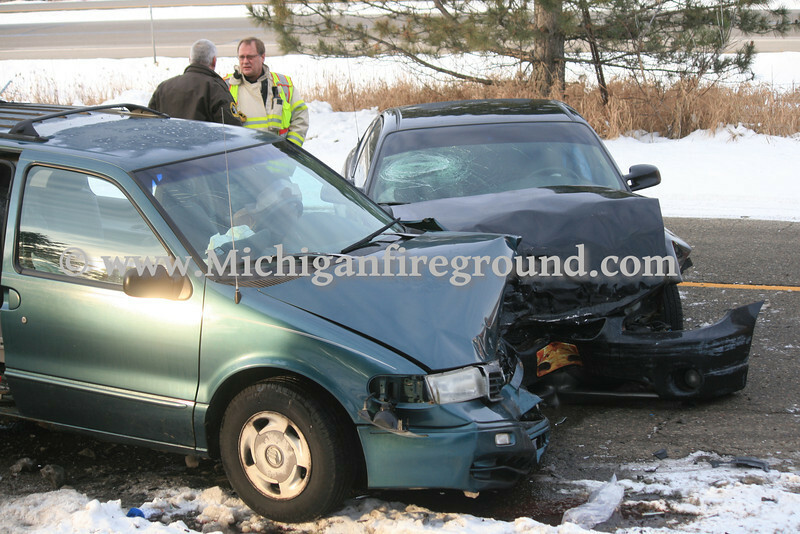 12/31/12 - Mason injury accident, Hull Rd & Mason Blvd. Just after 9:00 AM on Monday, December 31st, 2012, the Mason Fire Department was dispatched for possible extrication at an auto collision on Hull Rd at the entrance to Mason Manor mobile home park. EMS personnel on scene shortly afterward determined there was no entrapment but requested fire to continue for hazard control. Mason firefighters worked on both vehicles to disable the batteries. One vehicle presented a difficult challenge accessing the battery, so firefighters used rescue tools to complete their assignment.